In a world that is ripe with technology that includes Smart TV’s, Smart toilets, and cars that run on electricity, it can make you wonder how board games still exist in this day and age. The youth of the 21st century receive cell phones, tablets, laptops, computers, and more at an age when playing outside used to be the big thing you’d brag about the next day at school. Participating in cooperative board games differs some from the regular reasons to play board games, in cooperative games the players work together, as a team, not against each other. The process may sound unusual, but in fact, it helps children learn how to function properly in society as well as hone their motor, comprehensive, and other skills. The secret to it is that they rarely know that their skills are being tested or improved, so it turns into a win-win situation for both the kids and the parents. Playing cooperative games with the family or friends can definitely help your child build up their social skills. Imagine, a shy child, a loner, by communicating effectively with family or friends while playing board games with friends or family, it can draw them out of their shell. They can learn how much fun it is to be with others that care about them, and how much fun they can have when they participate in the same activities that their friends and family participate in. By playing cooperative games they can learn to understand other people. They can also learn how to ‘hang’ with friends, and not have to be alone because they feel inferior. When playing cooperative games, everyone is on the same level, and their end goal for the game is to succeed in it . They must work together with others in order to achieve the same end result. There is no winner or loser in the game. While most children are honest and innocent, some can spin a fancy web of little white lies, especially when they do something wrong. With learning to play cooperative board games, honesty is another skill they can learn and apply in life helping them to build healthy relationships with whomever they come across as they grow. Playing cooperative games requires children to interact face-to-face with others who are involved. It teaches how to read facial expressions, and reading facial expressions is one way to stay honest. They don’t want someone to notice they are being dishonest just by the look on their faces, so they strive not to be dishonest. It can help them identify when someone else may be lying as well, which will certainly help with social interaction. Learning new vocabulary is a developmental skill that takes place over time and from exposure. 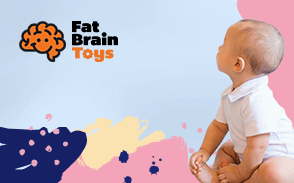 Just like all other skills, learning new words and their meanings, children can develop their vocabulary. But in order to learn new words, they need to be exposed to them, and cooperative play can help in building those skills. Children who get the chance at communicating with adults during cooperative gameplay will have a better chance of communicating properly as they grow and develop. Parents will notice that their child is more capable of using ‘grown-up’ words before professionals will. By exposing them to the cooperation that is needed during gameplay and explaining to them how it works, they will then understand the use of cooperation in everyday life as they grow and develop and build ongoing relationships with others. Cooperative game play can also help to teach a child how to share and be patient. Children are not patient by any means, not unless they are taught to be patient by the adults in their life. By understanding when it is their turn, and that during that turn, they are the ones to make a decision or share an idea with their playmates, they can learn to anticipate the next time their turn comes around, teaching them hat if they have patience then their turn will come. While they are waiting for their next turn, the wheels in their minds are spinning on what to do next and what the next strategy should be to move forward in the game. It will make them happy to know, again, that their opinion matters and that their ideas should be shared with teammates in order to reach the end result. Also, with the adult supervision, he or she will understand what taking turns is, because children will not understand taking turns unless they are taught it by the adults. Helping them to understand that they are not the only person playing the game, they have to share with others during the game and learn how to be patient. It becomes a winning situation for the kids and the parents. Participating in cooperative games can help children learn that they can’t always get what they want immediately. In order to reap the benefits, they must put the work into it; then they will achieve what they are looking forward to. They learn that with their cooperation, patience, sharing, communication, and efforts they will eventually get what they are hoping for, and they should always strive to meet that goal no matter what it is. By learning and understanding each of these skills, they will learn valuable life lessons. Clearly, cooperative games differ from the competitive games we all know. True cooperative games teach practical skills such as taking turns, waiting to get what you want, and how to cooperate with your teammates in reaching the end goal of the game. They also teach various developmental skills such as those listed above. Cooperative games also eliminate the challenge of being the winner or the loser, this way no one feels less competent than another person. Below is a short list of cooperative games that all children should be exposed to when they are young and at their developmental stages of life. Young children, as well as older children can benefit from many of these games. There are many more cooperative games available, these are just an example. This teaches young children how to count and use their fine motor skills as they spin the timer and move their pieces around the board. In addition, it teaches children turn taking, what a ‘bonus’ is, and how to celebrate with others as they achieve goals. Toddlers benefit from this game. The mother bird must get more seeds for her babies before the squirrel takes them all. It introduces strategy to the child as he or she figures out which tile to turn over that can help the mother bird the most. This one helps teach children color coordination, strategic thinking skills, and figuring out the best cards to help get the owls home before sun up. The twist to the game is that more owls keep being added to the game play. Balls—playing kickball, catch, or even chasing balls are great cooperative games for toddlers and school aged kids. 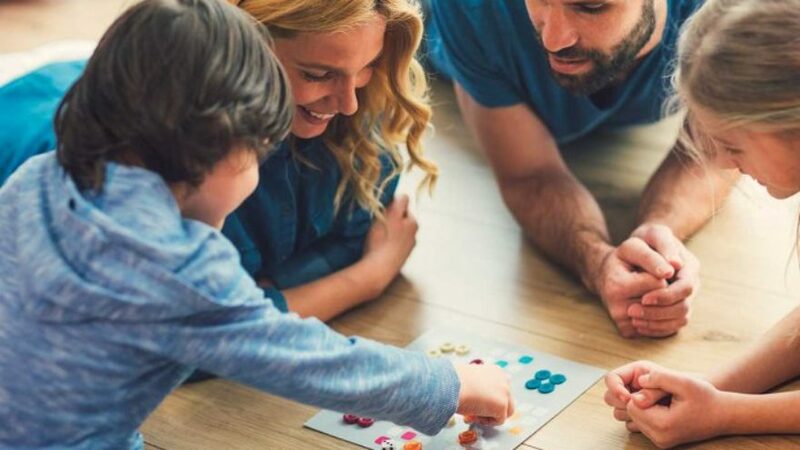 These are just a few examples of cooperative board games, though, there are plenty on the market that your kid will love and will give the same benefits as mentioned above. So, what are you waiting for? Get your child, rally ’em up and go play some board games together!